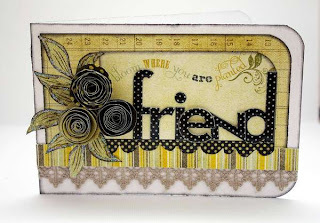 I just adore this cute new line from My Little Shoebox! 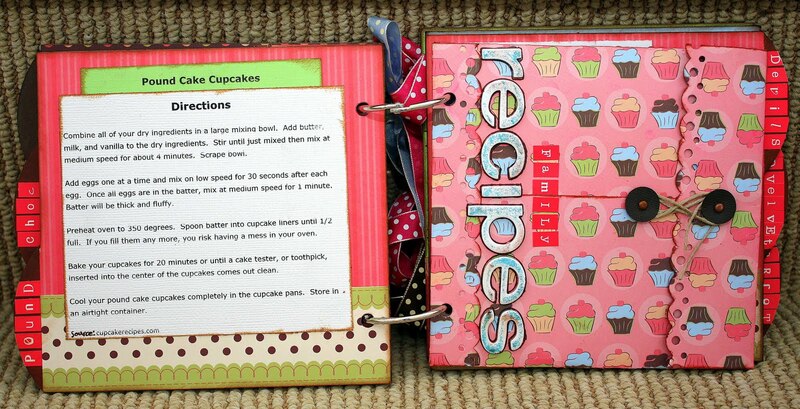 It was perfect for the cupcake recipe book that I taught in Massachusetts last weekend--here are the inner pages. This envelop was one of the techniques that I taught in the class. 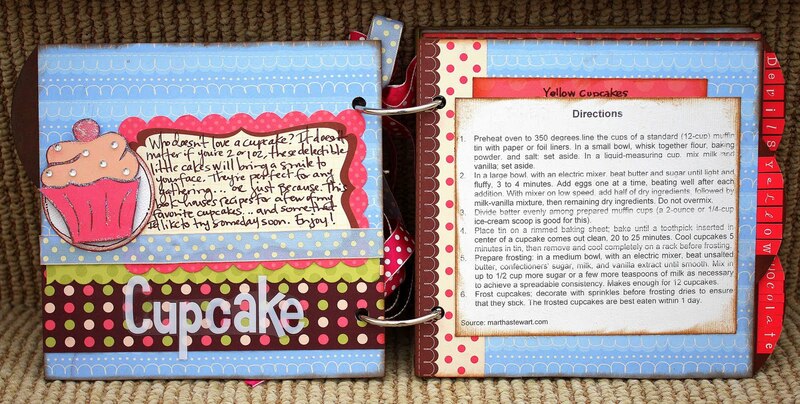 All of the recipes were downloaded from allrecipes.com, foodnetwork.com, and marthastewart.com. 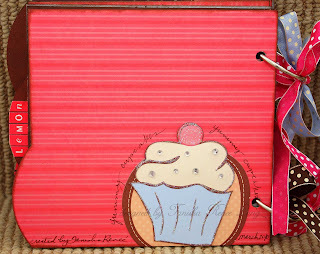 The colors of this line are wonderful for those girly pages, too! 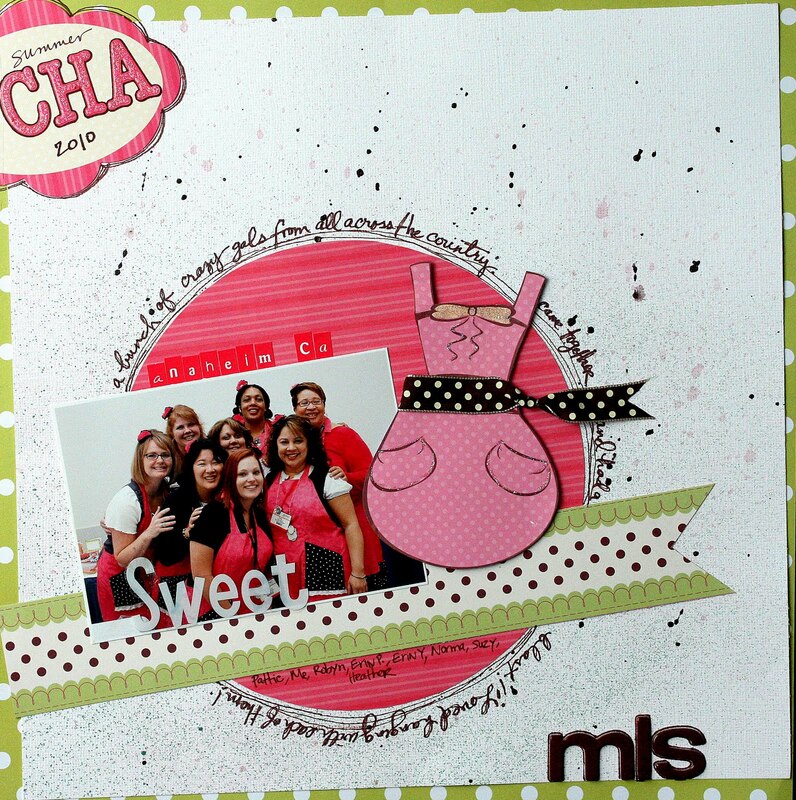 journaling: a bunch of gals from all across the country came together and had a blast! I loved hanging with each of them! Who says Christmas pages have to be red and green? I used this line to tell the story of the snack that Donovan left for Santa this past Christmas. My Little Shoebox has a DT call underway. If you're interested in applying, check out this blog post! Good luck! Before I sign off...I'm almost at 500 blog posts!! You know what that means? I have something up my sleeve!!! I've heard the saying that April showers bring May flowers, but do you know what March showers bring? FLOODS!!! That's right, floods! The ground is still so saturated from all of the snow that fell this past winter and there's nowhere for more water to go. 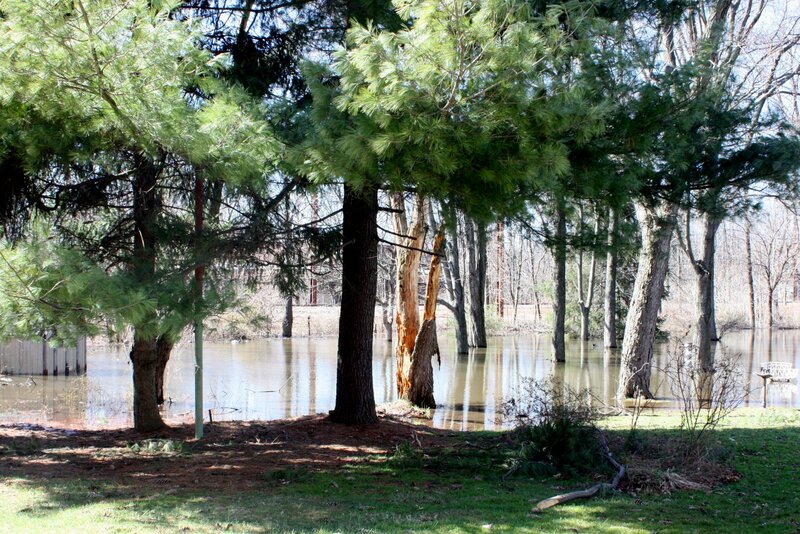 About 2 weeks ago, we got so much rain here that out backyard flooded big time. 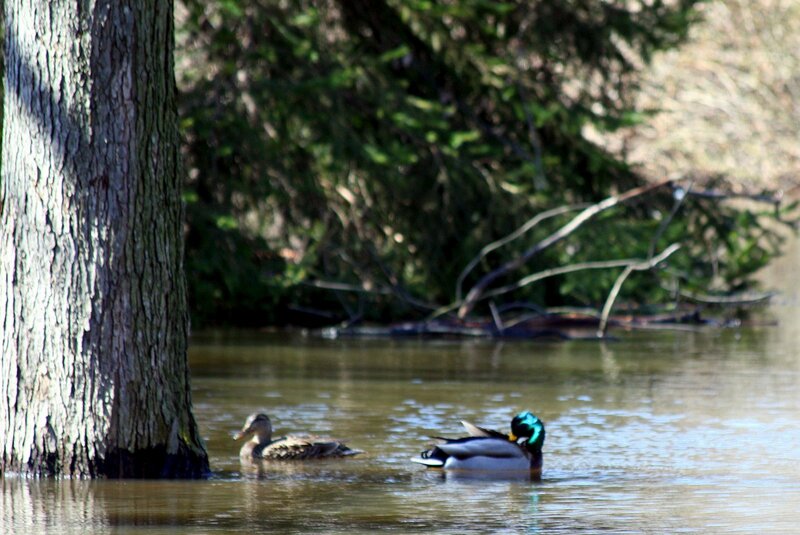 I had guests at my house that weekend and someone made the comment that they didn't know we had a lake in our backyard...LOL, neither did I! 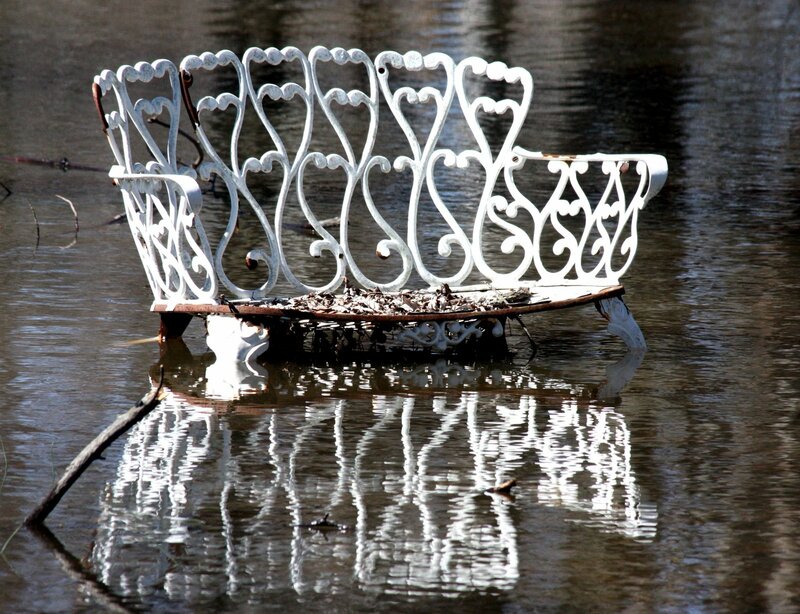 So many people that live in towns more north and west of where we are lost so much of their belongings due to flooding--they were literally rowing down the streets in boats....rivers were overflowing... I'm glad we didn't have it as bad. I was a little worried about the water into our newly (a year ago) renovated basement. Thankfully, there's a slope at the back of the house that acted as sort of a barrier. We did get some water in the basement via the front of the house, but not much to get upset over. I just need to go over the wet space with a carpet shampooer and my carpet will be as good as new. I don't know what condition our shed (or the stuff in it) will be in by the time all of the water recedes. The water in the backyard was so high that the seat of my neighbors wrought iron bench was covered and has now rusted. I took this picture a day or so after the rain FINALLY stopped. The one thing I did enjoy about the rainy aftermath was our new neighbors. 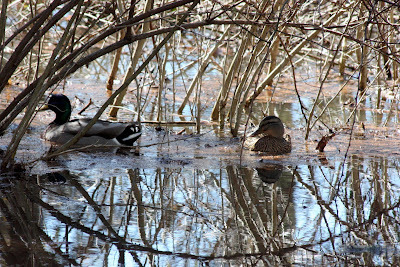 I thought I was seeing things the first time I saw these ducks swimming in the backyard. There were 4 of them. I want to know how did they manage to find our "lake". 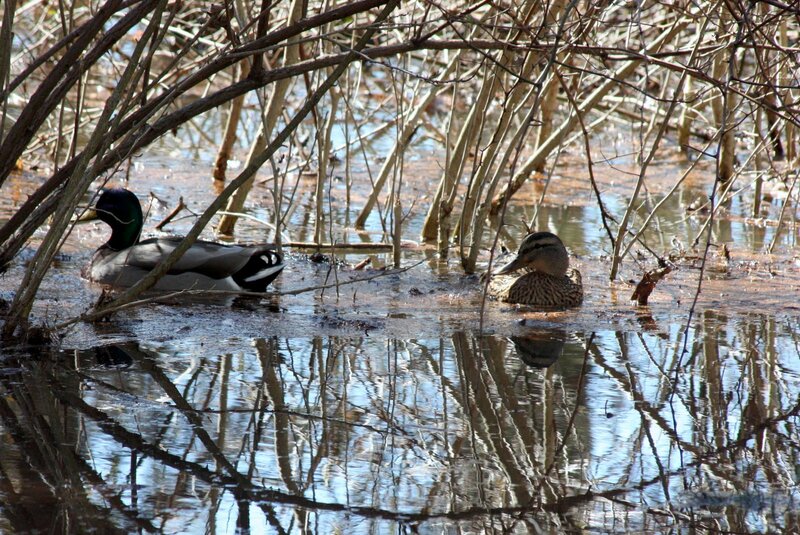 I guess ducks are a lot smarter that I thought and can find water anywhere. The wood duck on the right cracked me up...every time I saw it it's head was underwater, I guess bobbing for worms. It's raining here again and the backyard is flooding, yet again. I have a sneaky suspicion that I'll being seeing these guys again very soon! Have a great day and wherever you are, I hope it's dry! I've been busy, busy, busy these past few days...and the excitement is brewing!! 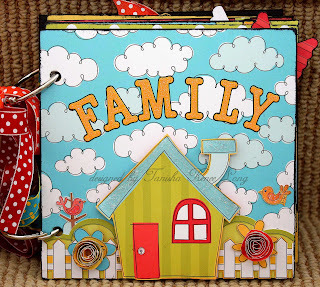 I'm teaching my first out of state class for My Little Shoebox at the Collins Show in Framingham, MA this weekend. 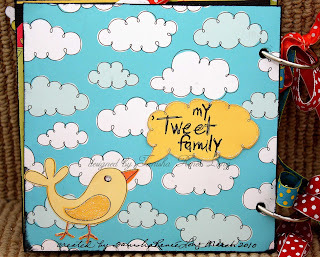 I'm teaching 2 mini album classes, one about my "Tweet Family" using the newly released Flying High line and a recipe book using the newly released Just Add Butter line. 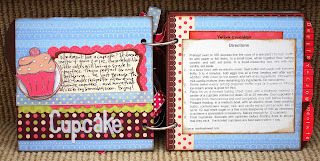 I have a few fun projects to share with you in this post. 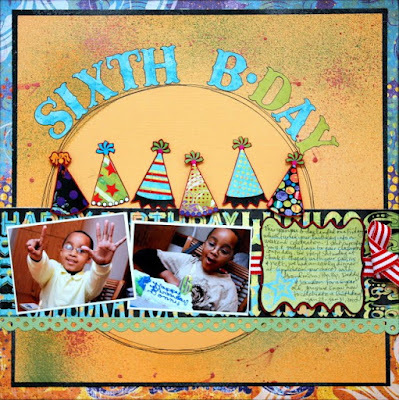 First up is a layout about how Sir Donovan chose to celebrate his 6th birthday (sidebar: is my baby really 6...already?) He knows how to celebrate, I'll tell you that! His birthday fell on a Friday, so it was cupcakes and goodie bags at school and cake at home with us, Chuck E. Cheese's and more cake on Saturday (his aunt and cousins joined us, too) and dinner at his favorite restaurant, Applebee's with us and his grandparents--all orchestrated by him no less! 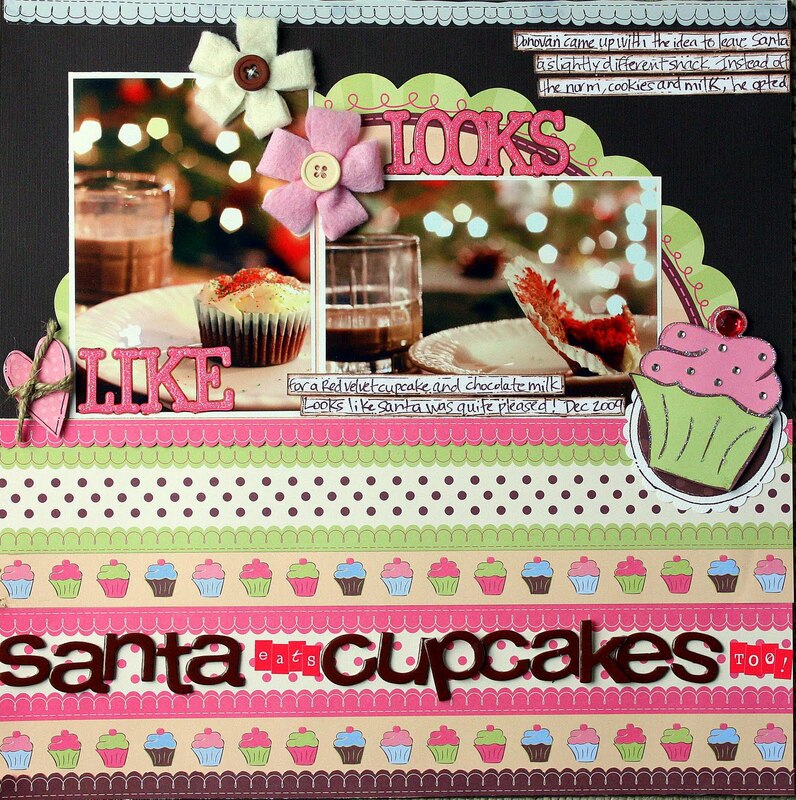 I used CI's Melange 123 Celebrate Me line and lots of smooch spritz to create this bright and fun birthday layout. I placed a large circle in the center of the cardstock and then spritzed to create the negative space so that the colorful party hats didn't compete with the color spray. This next layout was created using CI's Melange Trip and Travel line. 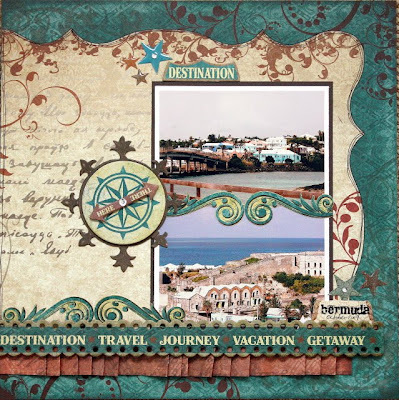 I love how perfectly the colors coordinated with my landscape pictures from Bermuda. The gem embedded epoxy star stickers added just a touch of bling (and you know I LOVE my blingage...right). 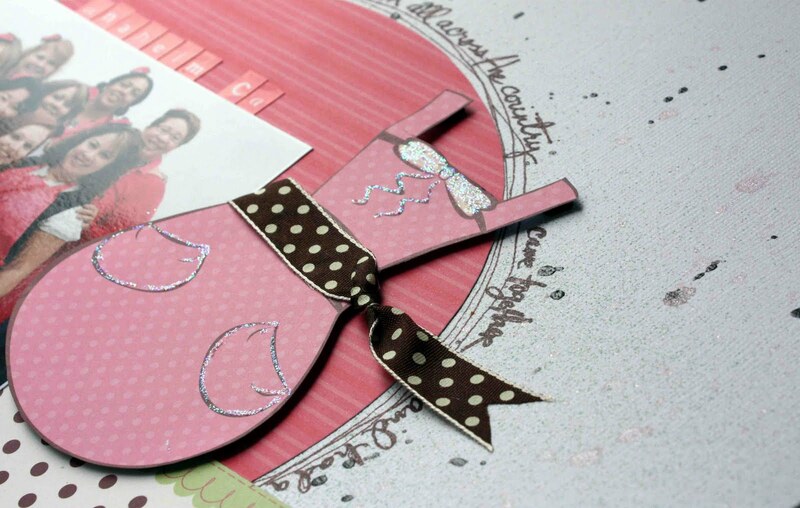 The pre-made embellishments helped this layout come together quickly and easily! 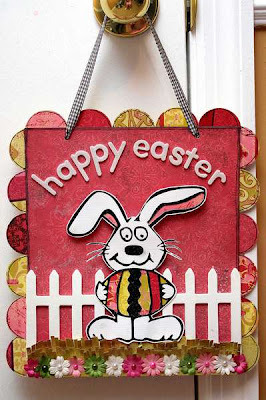 Guess what coming up very soon....EASTER! Can you believe it? I created this fun wall hanging using CI's Ohh La La line. It's not a traditional Easter line, but the colors certainly worked. I punched circled from patterned paper and attached them to the back of the wall hanging to create the border. I downloaded the bunny from holidayartsandcrafts.net and then added pattern papers to make him a little more festive. 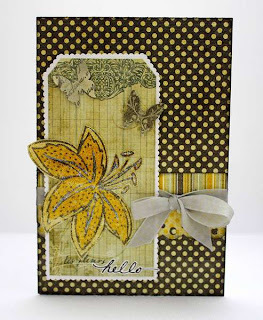 I created a fun little border at the bottom with "grass" and petaloo flowers. The entire background was spritzed with Luminarte Red Pearl. Hope you've enjoyed the projects! Have a scrappy day! Thanks so much to everyone for participating in the bloh hop, I hope you enjoyed the projects! What a cute & clever idea!!! TFS! Robin, please email me your address @ tanisharenee74@hotmail.com and I will get your RAK out to you ASAP! Hey there!! 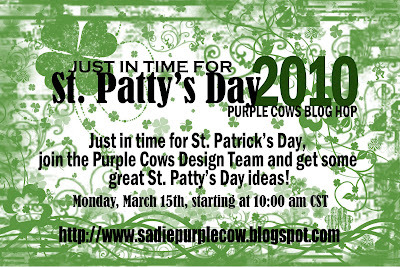 Welcome to Purple Cow's St. Paddy's Day Blog Hop! If you've hopped here from Samantha's fabulous blog, then you are well on your way to the pot o' gold (AKA Purple Cows RAK) at the end of the rainbow!! If you just happened to pop in on my blog, please join us...I guarantee you'll have a great time and gain a ton o' inspiration. Just go back Purple Cows' blog and start from there. Be sure to leave comments on each blog and make it all the way to the end of the hop for a chance to win small RAKs from some DT members and an awesome prize from Purple Cows!!! How fab is that? I've always loved St. Patrick's Day--I don't know if it's because green is at the top of my favorite colors list or perhaps because my maiden name is Leary (thanks to some Irish ancestors Waaaaaaay down the line), so I had a blast coming up with this party idea. 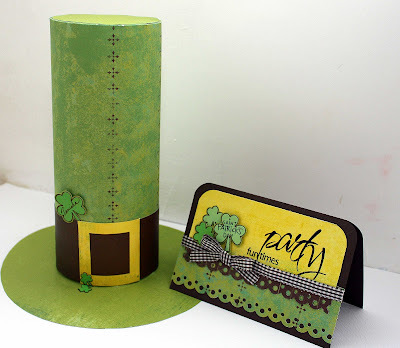 I created a St. Patrick's Day party invitation and an adorable leprechaun hat place setting using Purple Cows Smart Trimmer (1060) along with designer click blade 2811 and My Mind's Eye papers. I used this site to help me create the hat--I just came up with my own measurements. I spritzed the buckle and the top portion of the card with gold glow smooch spritz and added a few clover stickers to complete the look! I hope you've enjoyed this project! Anyone who leaves a comment on this post between now and Wednesday 3/17/10 at 11:59 EST, will be eligible to win a small RAK from me! 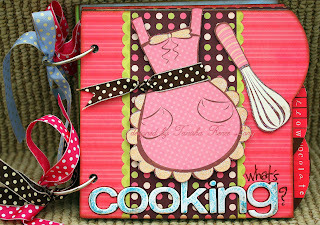 Now it's time to hop on over to Vicki's awesome blog! Have fun and luck o' the Irish to ya!! I know I've said this before, but Pink Paislee is one of my favorite companies out there. I couldn't wait to get my hands on the new releases and almost jumped for joy when I walked into my local scrapbook store Thursday to find PP's Queen Bee line sitting ever so regally on the shelves! As soon as I brought these beautiful papers home, I went to work creating, starting with this Mother's Day gift set featuring Petaloo's mulberry flowers and velvet butterflies. Doesn't the color really pop against the papers? 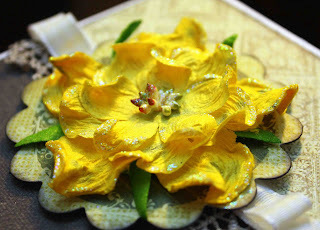 These flowers are so incredibly gorgeous and super easy to work with. I spritzed the flowers and butterfly with gold glow smooch spritz and then coated the centers and tips of the large wild roses with stardust stickles. I wish you could see these in person! Not only am I in a card making state of mind, but I've also been making handmade flowers alot lately, too. 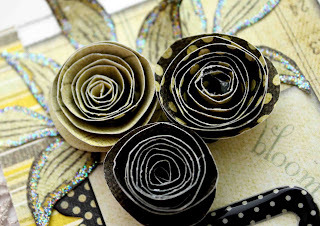 I can't believe how easy it is to make these darling little roses!! I lightly spritzed them with silver glimmer mist for just the right hint of bling...the person receiving this card would probably think I spent hours laboring over it. One of my favorite ways to create a quick and inexpensive sentiment for my cards is to write it out on paper and then cut around it. It gives my handwriting a "stamped" look. Remember the shaped scissors that we were so crazy about a few years ago? Well I saved the few that I had and put the mini scallop to use here. I adhered the die cut tag to white cardstock and then trimmed around with the shaped scissors. I also changed the color of the ribbon with just a few squirts of silver glimmer mist. I used punched butterflies and glimmer mist to create the masked look seen here. Not only did I get a cool looking background, but I also saved the butterflies to use on other projects (I used 2 of them here). 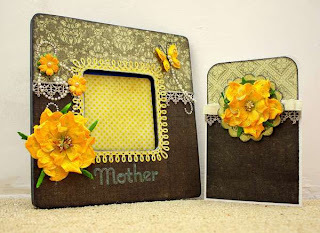 I layered 6 punched flowers and cut a few flowers from patterned paper to create this cute bundle here. I stamped 3 of the punched flowers with my favorite french script stamp and spritzed the other 3 with silver glimmer mist. I added distressed and stardust stickles to the centers to finish them off. All of the cards in this post, except the "Friend" card, are scraplifts of some of my fave cards that I previously created. I love how the different papers give the cards a different look although the design is similar. 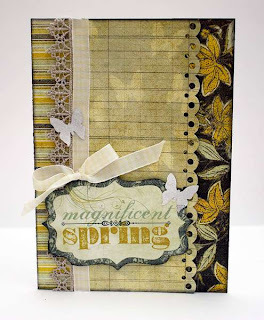 I hope you've enjoyed this post...happy scrapping! 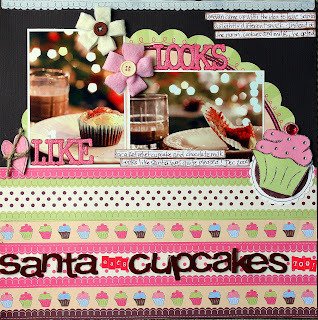 Another Blog Hop Coming Your Way!!! First off, let me say thank you to everyone who stopped by and left amazing comments about my giveaway and the blog crawl in general. I hope you all had a wonderful time and met a lot of cool bloggers along the way. Without further adieu...the winner of my giveaway is...Missey!!!!!! 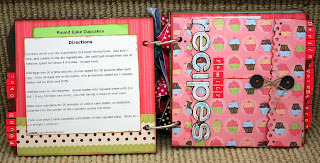 Missey, please email me your address and I will get your mini brag book out to you as soon as possible! Congratulations!! I have a confession to make...I have wee little crush on My Mind's Eye Be Loved papers!! 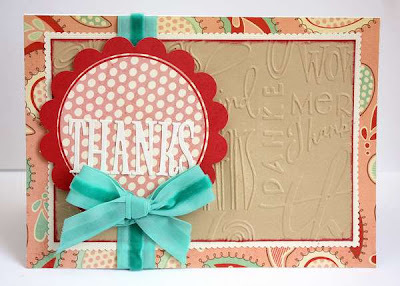 I recently had a card published in Scrapbook Trends Quick & Easy Idea Book and received this line as a thank you. 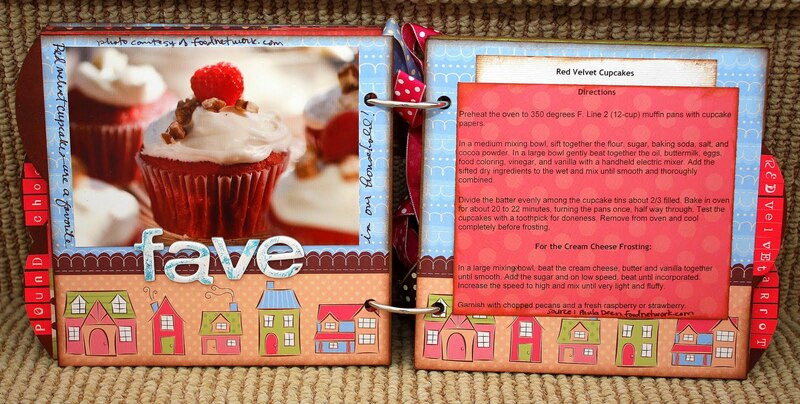 The colors are completely adorable and I can use them for more than Valentine's Day projects. I created 2 layouts and a card with these papers and I love how fun and fresh they turned out! 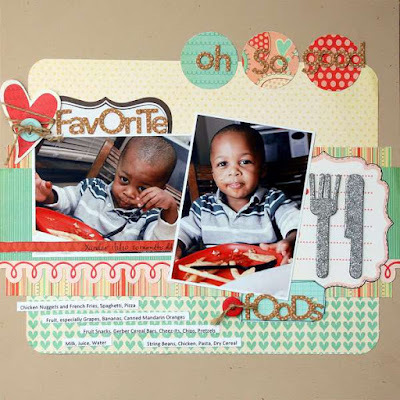 The first layout is about Xander's favorite foods. He's such a picky little eater sometimes, but he eats enough of each food group for me to be satisfied--and he drinks like a fish! At his last pediatric appointment this past Thursday, I found out he is 34 3/4" tall and weighs 31 lbs, placing him in the 90th percentile for both height and weight...so our boy is doing well! The utensils on the layout are black foam thickers that I coated with silver glitter and glossy accents. 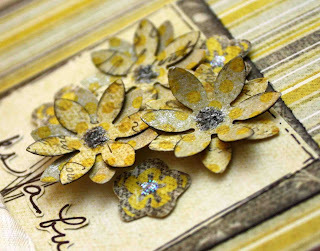 I used a few Petaloo flowers on this next layout because they coordinated so well with the papers! 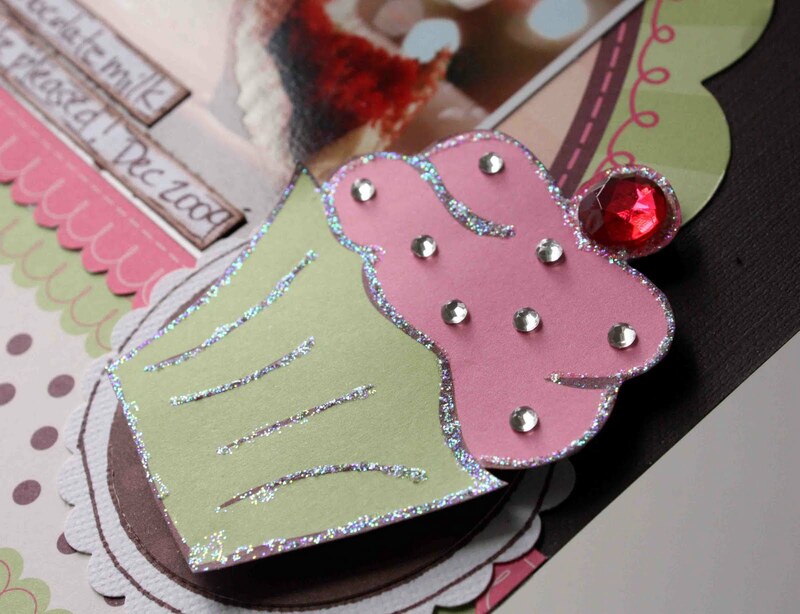 I even created my own dazzlers by adding stickles to the small jeweled florette. I think the new fun tape by Kiki Art jazzed up the diecut a bit (see the row of hearts under "I love"). 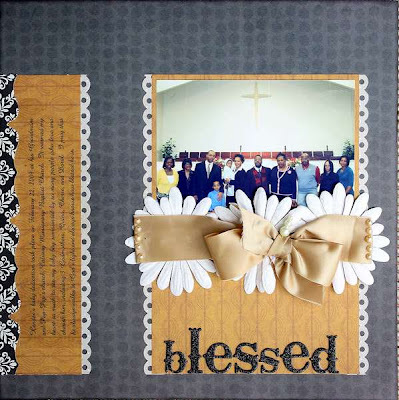 I created a flower border on this last layout about Xander's Baby Dedication by spraying Petaloo's color me crazy giant daisy layers with vanilla shimmer smooch spritz and adding a satin bow. 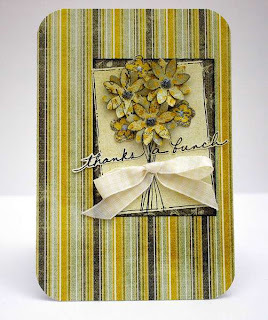 Here's a quick and easy thank you card using MME's Be Loved line. Thanks so much for taking a peek! Until next time...happy scrapping! It's Time For The Blog Crawl!! This is a freestyle crawl, meaning there is no correct order to hop from blog to blog! 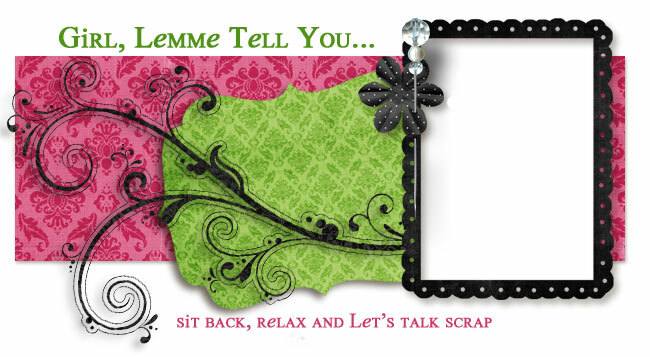 Just have fun and be sure to leave comments along the way to be eligible to win prize packages from Bella Blvd, Jillibean Soup, and Nikki Sivils Scrapbooker as well as handmade items from each participating Design Team Member. 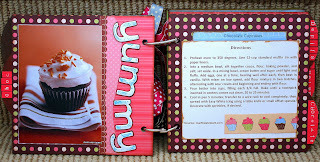 My giveaway as seen below, is a mini brag book created using Bella Blvd's new Estate Sale and All Inclusive lines. It's just the perfect size for showing off wallet size photos of your beautiful family. Anyone who leaves a comment here between now and 11:59 EDT on Sunday, March 7th will be eligible to be entered in the random drawing for this mini book. Stop by and check out what the other Bella Blvd Artistas have in store!! 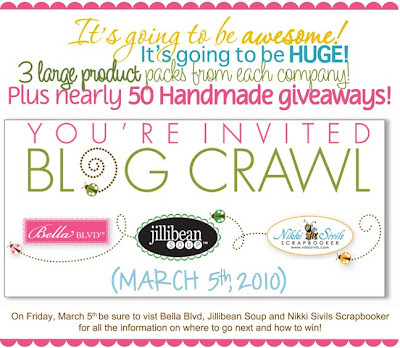 Have fun along the blog crawl and Good Luck! !